Wealthy passengers who can afford a ticket will endure only a few days of training, but questions remain about the “freak out” factor. Yet, when it comes to actual commercial spaceflight, these space trips will present a demanding environment for anyone who isn’t a fighter pilot or a real astronaut. Fleeing and re-entering the atmosphere is a dynamic, stressful experience, thanks to the forces of gravity and millions of pounds of thrust powering an ascent that reaches thousands of miles per hour. “It’s not like just walking on an airplane and putting on your lap belt and reading a book or falling asleep,” said Dr. James Vanderploeg, chief medical officer for Virgin Galactic, which could begin launching sub-orbital customer flights next year. While that may be true, research does show that space travel will probably be physically manageable for your average, untrained human. “Normal people can go into outer space,” Tony Antonelli, Lockheed Martin Corp.’s chief technologist for space exploration and a former Space Shuttle pilot, said in September at the 68th International Astronautical Congress in Australia. Indeed, Americans became aware long ago that scientists, elderly politicians and even school teachers could meet all the requirements of a Space Shuttle mission—having the “The Right Stuff” didn’t require you to be Chuck Yeager. But those astronauts still went through NASA’s formidable training; much less physical preparation will be provided passengers who hop aboard a commercial flight. And whether they can handle the psychological stress remains an open question. Inside the Blue Origin capsule. For decades, human space flight has rested squarely in the government’s domain. Fewer than 600 people have escaped Earth’s grasp, almost all of them public employees. Membership in that exclusive club is poised to surge as entrepreneurs line up to create this new form of adventure ride: the ultimate roller coaster. The U.S. government is giving the nascent industry wide latitude, in part to encourage commercial enterprise and also because there’s little stomach for funding a national space program. Congress has allowed companies to devise their own medical screening and training protocols by imposing a moratorium on space passenger regulation until 2023. The Federal Aviation Administration currently requires a license for non-governmental space flights to ensure they don’t pose a hazard to public safety. But the FAA doesn’t have authority over vehicle design or training—or who springs for a seat on these new space ventures. “It’s really up to the company for what kind of screening they want to have,” George Nield, the FAA’s associate administrator for commercial space transportation, said Tuesday at the annual Space Commerce Conference in Houston. If all goes as planned, the commercial space race will introduce scores of new “astronauts” each year: mostly middle-aged and older people with plenty of cash to burn—as well as run-of-the mill maladies that come with age. 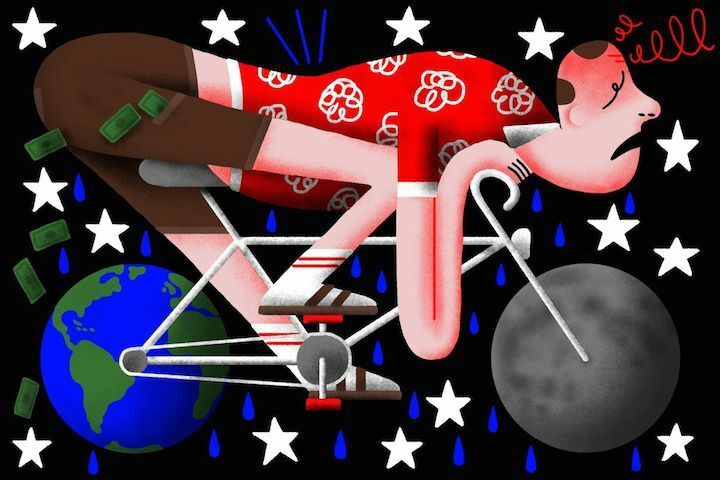 This situation, novel to space travel, has led researchers to probe the average person’s vulnerabilities in such an environment, contributing to a growing body of research about the stresses of rocket flight for those without a NASA-certified physique. Does this mean space travelers with heart disease or diabetes, pacemakers or insulin pumps, or any chronic affliction that comes with old age could pass muster? Potentially, yes. The primary medical-screening issue, Vanderploeg said, is whether a flier’s condition is “well-understood and well-controlled” and the person is receiving the appropriate treatment. There’s an economic imperative at work here, too. Holding passengers to the same standards as those that faced traditional astronauts may not result in many paying customers, a critical point when you consider the open question as to whether commercial space flight will ever turn a profit. Nevertheless, Virgin Galactic LLC takes a conservative view toward screening its customers, Vanderploeg said. The first 100 customers, which the company calls “founders,” have received extensive medical scrutiny ahead of the first space flights. “I have never felt any pressure to say yes to fly somebody, or to keep them in the customer queue, who I was uncomfortable with from a medical point of view,” Vanderploeg said. “Flying or not flying a single individual is not financially significant,” he said, given the enormous capital and research investments the industry has made, and the many risks involved. Certainly, an in-flight heart attack or stroke would be a public relations disaster for this new mode of travel, in which safety is already of paramount concern. After all, the track record of U.S. human spaceflight has shown that dying on a rocket is 10,000 times more likely than getting killed on a commercial aircraft, so the physical risk is there for everyone to see. Nevertheless, research shows that the real danger for passengers may not be physical at all. While blood pressure and heart disease can be documented and managed, the larger challenge for newbie astronauts may come from plain old anxiety. Professionals have historically gone through comprehensive psychological vetting, and often come from military backgrounds in which they learned to handle combat conditions. Not so with everyday folks looking for a fun ride: Though commercial trips will initially be short, a passenger “freaking out” on a 20-minute flight could cause serious problems for all aboard. Research has found that “the typical anxiety questionnaires and psychological surveys and so forth that one uses didn’t predict well at all who might be anxious and potentially present a problem,” Vanderploeg said. That means a space carrier will probably need to observe customers closely during pre-flight training, which for Virgin Galactic is expected to last three days at its future home, Spaceport America in New Mexico. 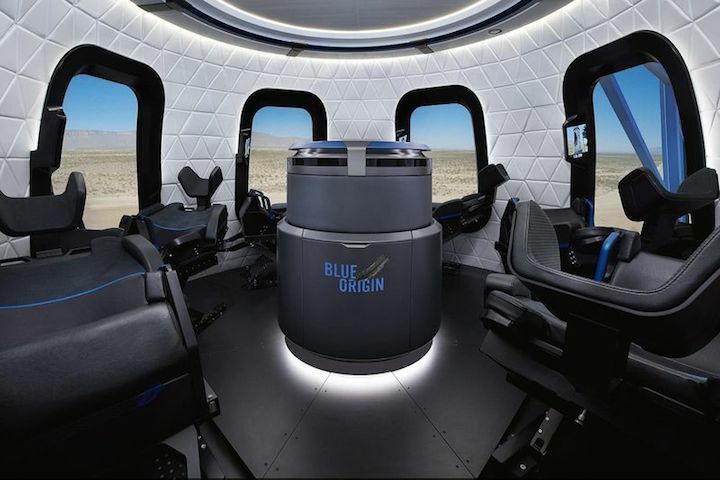 Blue Origin LLC—which is backed by the world’s richest person, Amazon.com Inc. founder Bezos—is planning 11-minute flights on its New Shepard autonomous vehicle from its site in West Texas; it has not yet disclosed a fare or when it expects to begin customer trips. The company, based in suburban Seattle, has said its training program will last about 1 1/2 days at its launch facility. Bezos and his deputies expressed confidence that such passenger issues can be avoided. “We think it’s going to cover exactly what you need for the 11 minutes,” Ariane Cornell, Blue Origin’s head of business development and strategy, said at the September space conference in Australia. One thing is for certain: These very short trips into space won’t be priced for the budget-minded. 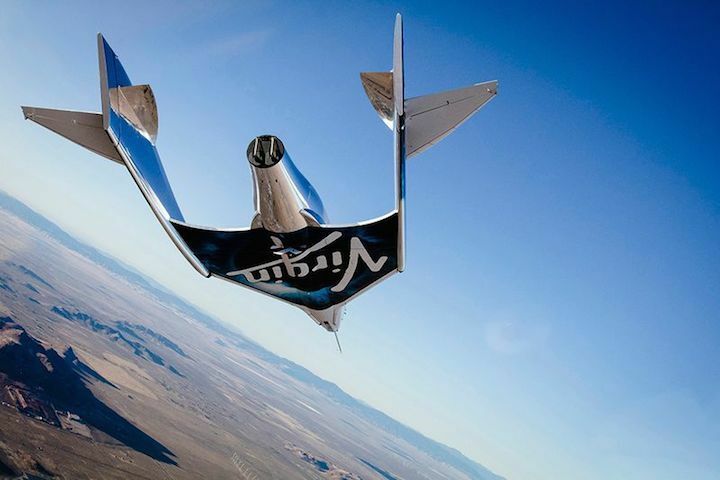 Virgin Galactic is charging $250,000 for its two-hour journeys, which will carry two pilots and six passengers. Other potential space options aren’t likely to be cheap, either. Boeing Co. is building a human-rated vehicle, the CST-100 Starliner, for NASA supply missions, one that may also be used for future commercial activities. Musk’s SpaceX has a deal with NASA to fly astronauts to the space station aboard its Crew Dragon; it also has contracts with two private citizens to fly them around the moon. SpaceX hasn’t revealed whom it will fly or the price for the lunar trip. Two other human space vehicles are in development, from Lockheed and Sierra Nevada Corp. Both craft are under NASA contract but have potential commercial applications. For Virgin Galactic’s proposed journey, a Virgin aircraft called White Knight Two will carry the vehicle, called SpaceShipTwo, to 50,000 feet before releasing it. A rocket will then ignite to carry passengers roughly 62 miles above Earth, into weightlessness and across what is considered the (somewhat arbitrary) boundary between the atmosphere and space. The launch phase is expected to exert about 3.5G’s of force for 15 seconds, or 3.5 times the weight you feel from gravity while on the planet’s surface. Re-entry stress will be slightly higher, at 4-6G’s for 15 to 20 seconds. Passengers will be trained how to breathe through these periods. Cabin seats will shift for both acceleration and re-entry to mitigate the force of gravity; occupants are not expected to lose consciousness. One unavoidable sacrifice all passengers will have to make, however, is the ability to relieve themselves. There won’t be a restroom on the Virgin Galactic, Boeing or Blue Origin vessels. “We have many things to offer, but a good commode is not one of them,” said Richard DalBello, Virgin’s vice president of business development and government affairs, during a panel at the September conference. Beyond physical, or even psychological fitness, future passengers will need to consider something even more basic: the overall risks inherent to space flight. On the Space Shuttle program, NASA experienced two major fatal accidents—the destruction of the Challenger just after liftoff in 1986 and the Columbia upon re-entry in 2003—out of 135 launches. NASA’s current commercial crew program, which involves the Boeing and SpaceX vehicles, prescribes a 1-in-270 chance of death, estimating it as roughly four times safer than the shuttle, said David Klaus, an aerospace engineering professor at the University of Colorado at Boulder, who has researched space risks. The risk is roughly equivalent to that of climbing Mount Everest, according to an FAA-funded analysis by Klaus and other researchers, which is a little more than a 1 percent chance of not making it back. That’s pretty much the same odds American astronauts have faced up until now. In the U.S., 375 human space flights over the past 50 years have resulted in four fatal accidents, including a 1967 crash of the X-15 hypersonic rocket plane, the two shuttle losses and the October 2014 crash of a Virgin Galactic spacecraft in California. That’s about a 1 percent fatal accident rate, the FAA’s Nield said at the September conference in Australia. “That’s something we want to improve upon,” he said. “I think it’s safe to presume that accidents will occur,” said Michelle Hanlon, an attorney specializing in aviation and space law with consulting firm ABH Aerospace LLC. Passengers will undoubtedly be required to sign waivers preventing them or their survivors from suing, she said. Part of the notion of “informed consent” is that a participant actually understands the risks before agreeing to accept them, according to FAA regulations for human spaceflight.